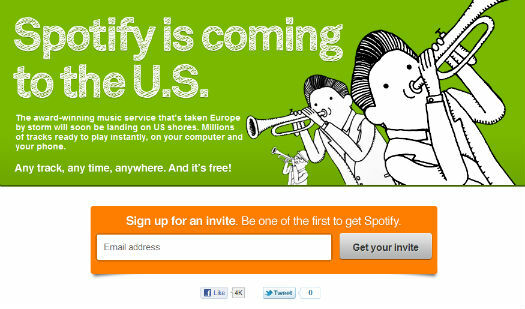 Today the music streaming application Spotify announced that it will be available to U.S. users soon. Having the option to stream millions of tracks supported by an occasional ad, or free of ads for a small monthly fee, Spotify appeared to be serious competitor to music piracy. In the two years that followed Spotify rapidly won the hearts and minds of many music fans, but the more than 10 million users come from a few European countries only. This is about to change according to Spotify. If you’re from the U.S. and interested in giving Spotify a try, get in line now.